I think Thanksgiving must be a difficult time for those who feel bereft or abandoned. I remember my first Thanksgiving prayer with the children at the Soup Kitchen nearly 20 years ago. Brother Ray and I had worked hard to promote prayers of gratitude among the children. One distraught 9-year-old girl shouted out, "I ain't thankful for anything. I don't even know who my daddy is." Her pain stayed with me for a long, long time--but eventually, her life got better and she often expressed words of gratitude. Sometimes, I also feel pain at the beauty and simplicity of prayers at the soup kitchen morning prayer. So often, someone prays, "I thank God I woke up this morning." Being with so many grateful people has greatly encouraged and increased my own gratitude. But I know gratitude cannot be forced and I will continue walking with some people who need love and patience and healing before their spirit can recognize gratitude. Hopefully, someday, all people will experience blessing and expressions of thankfulness. Even when times are hard, I must remember to grieve but not to despair. 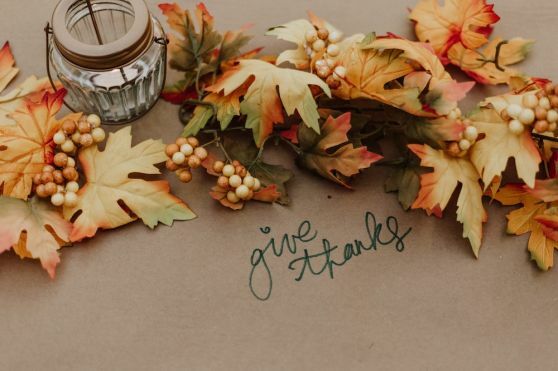 Despite many challenges in our city, country, and the world there are so many, many blessings of life, love, family, friendship, a beautiful moon, and a rising sun…Will this Thanksgiving season be a time you can share gratitude with someone? Will this special day be a time that you pray thankfulness?